Up until around 12 months ago – unless you were a tennis fanatic – you’d probably not heard of Stanislas Wawrinka. The reason being, Stan is the second best tennis player in Switzerland. The best being… oh you know. Anyway, it was at the 2014 Australian Open when Wawrinka was drawn against Novak Djokovic – a bloke who had – till then – beaten Stan 14 times in their past 14 matches, including a 5 set thriller in the 2013 Aussie Open. Despite pundits saying that Stan could give Novak a game, most pointed to the win/loss ratio and concluded it would most likely be Novak heading to the Semi Final. I use this story when I’m workshopping concepts around resilience and mindset. I mean, what kind of mindset do you need to take the court against a guy who has beaten you 14 times on the trot and who – if they’re being honest – most experts reckon you can’t beat. What kind of mindset do you need to play your shots, go for the winners and keep on pushing when the odds are stacked against you? How resilient must you be to get beat 14 times on the trot and keep coming back for another crack? It’s a quote from Irish poet Samuel Beckett. It’s a subtle shift from “If at first you don’t succeed yada yada yada…” The Beckett quote infers that we have something to learn from failing, and rather than seeing it as a devastating end point, perhaps failure is merely a stop-off on the way to success. 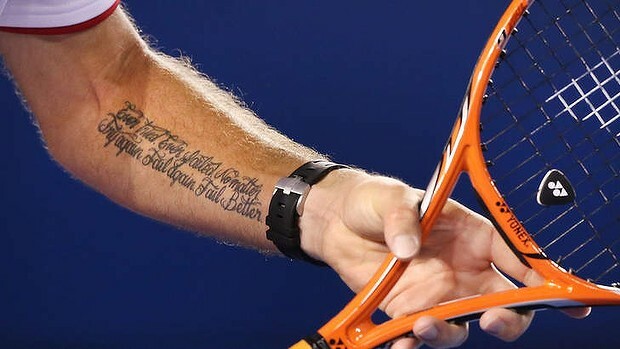 For mine, as important as the message, is where Stan chose to have the tattoo. As it is on his left forearm it is in his peripheral vision every time he waits to receive serve, as well as every time he serves. And this got me thinking. On every point in every match of his career he has a reminder that failure comes with opportunities to improve, to get better, to strive to be the best he can be. Fast forward 12 months to this year, and once again Stan meets Novak at the Aussie Open. This time in the semi-finals. Once again it’s a 5 set classic, but on this occasion Novak wins through. To some this might seem cliche, but it’s this mindset that great athletes have. This is what separates them from all those who have the talent or ability but never quite seem to make it. My question is how can we instil this mindset in our learning communities? I’ve been thinking about this for a while… for about a year actually if you check out the tweet below! Anyway, whether you want to call it a Growth Mindset, Resilience or just having a go I think it’s something we should encourage in our schools. Both in the classroom and the staffroom. 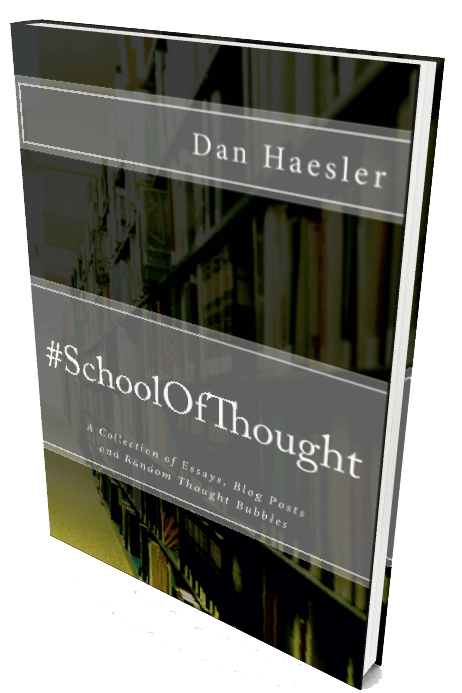 My next post will be the first in a series of posts based around an interview with John Hattie in response to that blog post. I’m really excited to share with you what we chatted about so please do keep an eye out for it! Can’t wait to read the interview!!! !